Rebecca Bauman, Founder and Head Teacher, has created the Start Smart Preschool concept founded on her passion for integrating early learning and the fine arts. She is a talented visual artist and has studied post-secondary fine arts in California and attended TWU and UBC. She received her ECE graduating with honours. Rebecca has worked with children over many years in various settings, including touring with a drama group and as a singer musician performing for children in many venues. Her professional experiences in both teaching young children and mentoring their parents have seeded her vision of what early learning environments can offer families. Heather Bouchard, Teacher, graduated with honors as an ECE from Vancouver Career College. 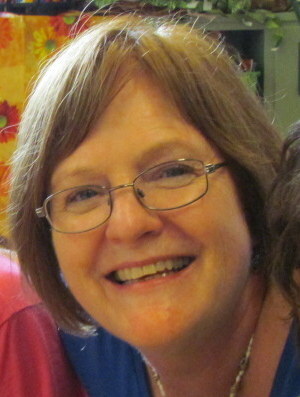 She has an excellent understanding of child development and emergent curriculum and is an experienced childcare worker. As a parent and mother of 3 beautiful children she has raised her family in the Little Mountain catchment for 15 years. Heather’s experiences of parenting as well as connecting with many children and families in the neighborhood are focal to motivating her goal to enhance her preschool students’ social, physical, intellectual, creative and emotional development by helping create a fun and positive classroom learning environment. Teresita Calalang, Teacher and Start Smart trainee, graduated as an ECE from Vancouver Community College and comes to the Start Smart team highly recommended. Teresa has a wide range of creative teaching skills, drawing on her training and experience as a certified teacher in the Philippines. As a teacher and mom from our local community, Teresa has the ability to build positive connections with children and families. Tara Wild, Preschool Dance and Movement Specialist, began her Dance & Movement career in Victoria, BC at the age of 3, studying ballet, mo dern dance, jazz and musical theater! As a young adult she was a performing member of the “Kidco Theatre Dance Company” and toured the country, bringing the arts to remote communities and big cities, alike! In addition, she has taught ballet and creative movement for children and adults and has created original works of choreography as a company alumnus. She is very excited to share her passion for dance and inspired to work with the children and community of Vancouver Start Smart Preschool!